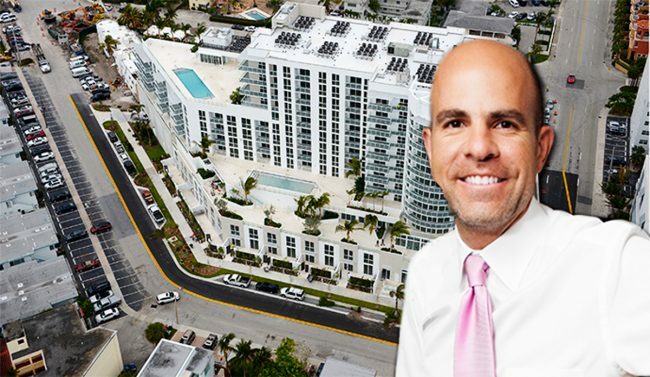 Newgard Development Group recently completed the Gale Residences Fort Lauderdale Beach and is expecting the hotel component to open by the end of this year. Newgard CEO Harvey Hernandez is projecting the sellout will be nearly $100 million once closings are completed. The 129-unit project at 401 Bayshore Drive secured its temporary certificate of occupancy late last month. The developer partnered with Dev Motwani’s Merrimac Ventures on the Gale. The residential portion includes a 12-story building with 122 one-, two- and three-bedroom units ranging from 800 square feet to 2,100 square feet; and seven two-story beach homes. Amenities include a residents-only pool, gym, club room, movie theater, valet and electric car-charging stations, according to a release. The 96-room hotel is in the adjacent, historic building that once housed the Escape Hotel. Menin Hospitality will manage the property. Newgard closed on a $19 million construction loan for the hotel earlier this year. Owners of the condos will be able to rent their units out through the hotel, Hernandez said. Prices ranged from the $450,000s to $1.4 million. The project launched sales in early 2015. Hernandez is now focusing on multifamily development. He’s partnering with Airbnb to bring the first Airbnb-branded apartment building in the U.S. to Orlando, with plans for more in South Florida and the Southeast.